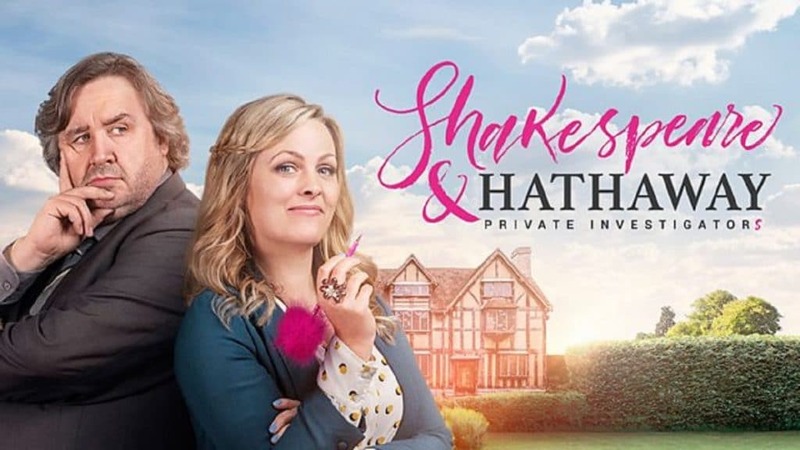 The BBC’s comedic mystery series Shakespeare & Hathaway: Private Investigators comes to CPTV! Private inspector Frank Hathaway (Mark Benton) has always worked alone. But Frank isn’t doing so well; he’s out of shape and low on cash. Frank needs a partner. Frank needs ex-hairdresser and people-person Lu (Jo Joyner). He just doesn’t know it yet. Frank and Lu eventually join forces and form a highly unlikely and hugely entertaining detecting duo. They quickly discover that all is not as peaceful as it seems in their pretty theater town — the mayor is murdered, vengeful lovers stalk the streets, and a magician’s trick fatally misfires. Welcome to Stratford-upon-Avon, where low life criminals get caught up in deliciously high drama!